The best church communication platform. More then just a app! A complete solution!  Use your app, web, social & email to streamline communication! Better church communication and increased event signups! We have created the best digital tools for your church! Our church bulletin builder with an easy drag n drop interface makes it easy for anyone, any age to design their weekly online church bulletin. Our online church bulletin builder is so easy to put together each week. It doesn’t matter if you are young or old, you can build it in half the time. Churches all over the world have moved to our digital church bulletin over a printed one and have saved thousands! We have provided a solution for seniors who may not yet be up to date with app technology, to receive your digital bulletin and push notifications via email. Our digital church bulletin has provided churches with the best way to communicate via the digital church bulletin. 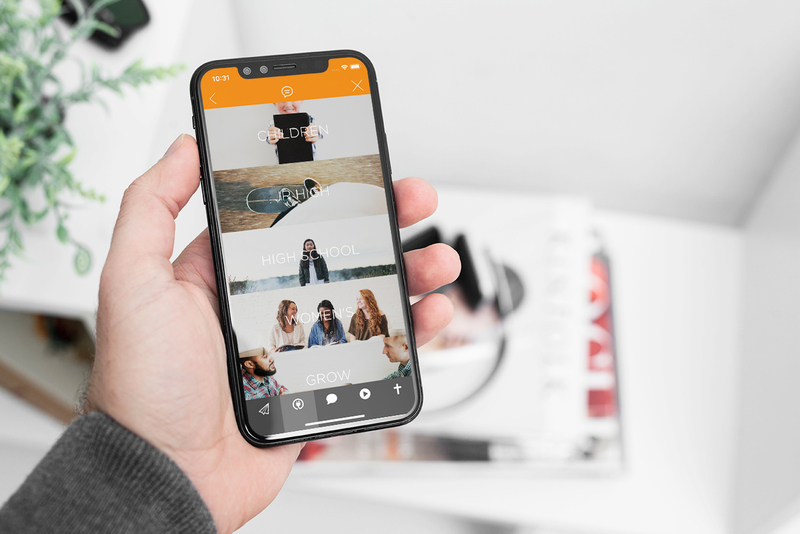 Smart forms can be designed and customized into forms you can use to better connect with new visitors, your church family or even for internal purposes. We have made creating custom forms enjoyable and easy. Just drag N drop, customize colors, add images and create beautiful unique forms. We love that churches can continually save money with our platform. Digital forms are a great way to save money and streamline. Custom church forms allow you to connect with new visitors in a better way with a new visitor form right within your church app. Add custom forms to your website for a Contact Us form, New Here form or a Prayer Request form. It’s easy to make changes and website auto updates. We have created a registration platform with well-designed forms that will ensure better signup success. All our registration forms come with SSL encryption. This ensures all credit card data to be 100% protected and secured for your church family. We have lower registration fees than any other church registration platform. Any receipts are deposited every two days into your bank account. Paid registrations have to look good or no one will use them. Our professional look will let your church family feel safe and secure using our platform. Create multi-ticketed options or even add-ons to each registration event. We have built tons of features to keep things simple and encourage your users to sign-up. You may think your church calendar might not mean much, but it is one of the most important tools you can have. It needs to look good and function well for your church family and visitors. Add our calendar platform easily to your website. Make changes that will auto-update in your app and website saving you time. Create sub-calendars out of the main calendar that will auto-update to use on a ministry page on your website or in the app. Create recurring ministry events for up to three years. This has helped churches save time and streamline office tasks for better efficiency. Our filter and search options create a great user experience. Filter by ministries or multiple search options. Build interactive Sunday sermon notes, small group notes or Bible study notes. User notes save right in your church app on their personal devices using the devices local storage to view later or edit. Easily create and design weekly sermon notes, Bible study notes or anything you can think of with our easy drag n drop notes builder. 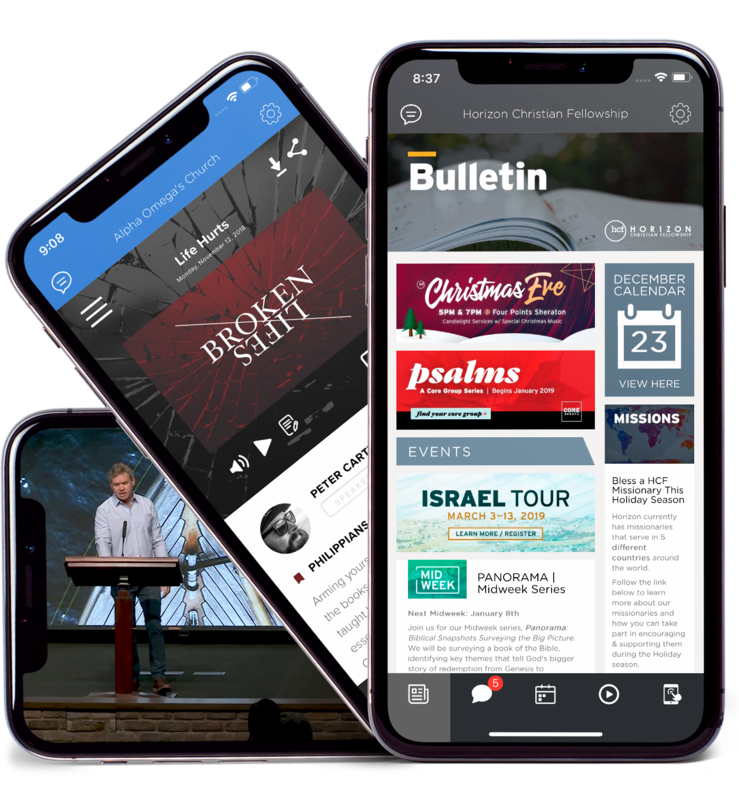 Your church family can use their smartphones to follow along with interactive sermon notes making the experience more engaging. Users can email their notes to their personal email to print at home or study later. This is a great feature within your church app. Our church app platform combined with our bulletin makes staying connected easy! Enhance your entire website experience with your bulletin, calendar & custom forms. Easy to create weekly sermons, Bible studies etc.